For years, environmentalists have condemned palm oil as one of the main causes of deforestation in certain tropical countries. Now France is responding with an increased tax on the palm oil destined for use in food products. The expansion of palm oil plantations in tropical countries has been a major contributing factor to the degradation of forest resources and biodiversity. Yet Europe remains one of the world’s main palm oil importers. The idea of placing a supplementary tax on palm oil has been raised several times in France. It was first proposed as part of the social security financing bill in 2013, and then again as part of the bill for the modernisation of the health system in 2015. Both times the proposal was rejected during the examination by the parliament. But the biodiversity bill, which will be voted on at its second reading in the National Assembly (the lower chamber of the French parliament) from 15 to 18 March, could signal the definitive adoption of the tax. The tax was added to the bill during its first reading in the Senate and adopted by the National Assembly’s Sustainable Development Committee, whose support should guarantee the passage of the bill in the plenary. But MPs did water down the original proposal from their colleagues in the Senate. 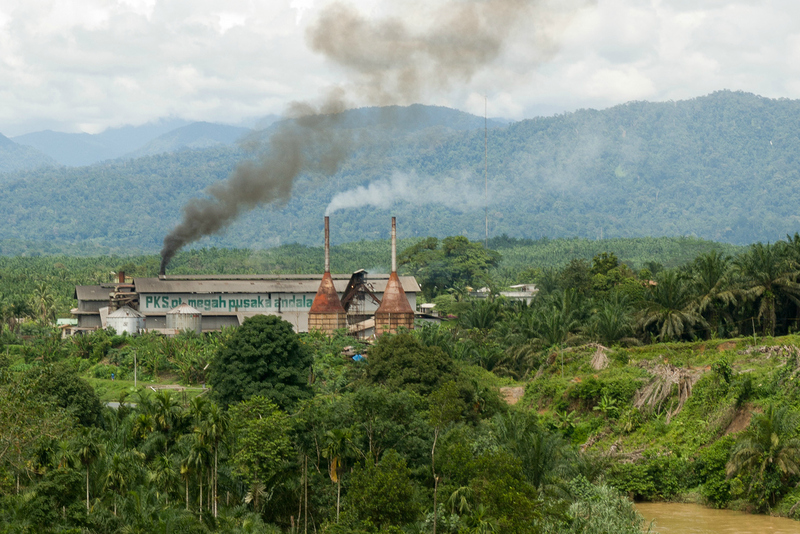 Biofuels giants Bumitama and Wilmar have knowingly traded illegally-extracted palm oil from plantations that encroach on and threaten orangutan habitats, says a report released today (21 November). European banks are amongst the firms' biggest investors. The additional tax planned for 2017 has been reduced from the Senate’s initial proposal from €300 to €90 per tonne. MPs believed the initial proposal was so high it would surely be seen as discrimination by the World Trade Organisation (WTO), which could lead to its invalidation. According to French Socialist MP Geneviève Gaillard, the author of the amendment and rapporteur on the bill, this more modest price would help “guarantee the creation of a tax targeted at palm oil” and allow “the taxation on palm oil to ‘catch up’ with that already applied to olive oil”. In another amendment softening the original proposal, palm oil produced for food products from sustainable sources will be exempt from the tax. This change is aimed at encouraging palm oil producers to make their products as traceable as possible, to guarantee they do not contribute to deforestation. But the proposed tax will only apply to palm oil that will be used in food products, leaving the entirety of palm oil production for biofuels unaffected. 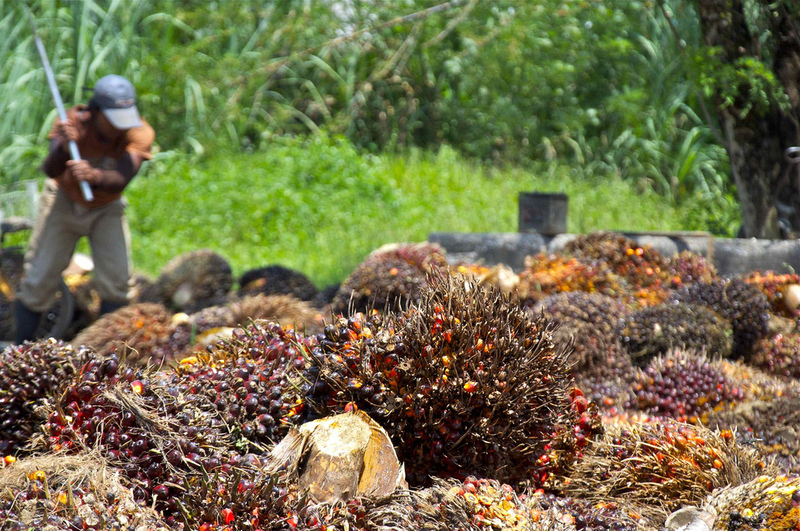 Most of the major palm oil-producing countries have expressed serious concern over the French initiative. Indonesia, the main exporter of the product, reacted furiously through its Minister of Natural and Marine Resources Rizal Ramli. He denounced the measure as “arrogant” and “excessive”, adding that Indonesia had called on the French government and parliament to withdraw the amendment, AFP reported. “The hostile attitude of France shows a clear and deliberate intent to kill the Indonesian palm oil industry,” which employs 16 million people, the minister said. He added that ecological and environmental considerations could not justify a “protectionist policy that is discriminatory and unfair”. As the world’s second biggest producer of palm oil, Malaysia would also be hit hard by this tax hike. The Malaysian Palm Oil Council (MPOC) has produced a report aimed at discrediting the French MPs’ argument that the new surtax would align the taxation of palm oil and olive oil. According to the report, this alignment would result in an exceptionally high tax rate for palm oil, as its sale price is so much lower than that of other oils used in food products, such as olive oil. “This act is clearly damaging to the national development objectives of these developing countries. A differential tax weighting goes against European law and the principles of the WTO. […] Jean-Marc Ayrault, the French minister of foreign affairs […] has already promised the Malaysian people that no tax would be applied to palm oil. This promise must be kept,” said Dr Yusof Basiron, the president of the MPOC. The production of palm oil has quintupled since 1990 due to global demand for soap, lipstick and biodiesel, as well as food ingredients like noodles, chocolate and cooking oil. 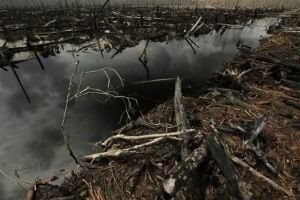 In response to this growing demand, one third of the peat-swamp forests in Malaysia were destroyed to make way for palm oil plantations between 2005 and 2010. Peat contains large quantities of carbon, and destroying it can have grave consequences for global greenhouse gas emissions. The market share of Malaysian palm oil in Europe is low, but rising. Some experts believe the product enters Europe via Indonesia, thanks to inadequate labelling requirements. * French/EU cumulative global GHG pollution share (1850 to 2011) is 25% while Indonesia 1%, and Malaysia 0%.